Learning Management Software Is So Famous, But Why? Are you an instructor who searches for a platform to share your knowledge but not succeeded? Learning management system or LMS software will solve your problems. 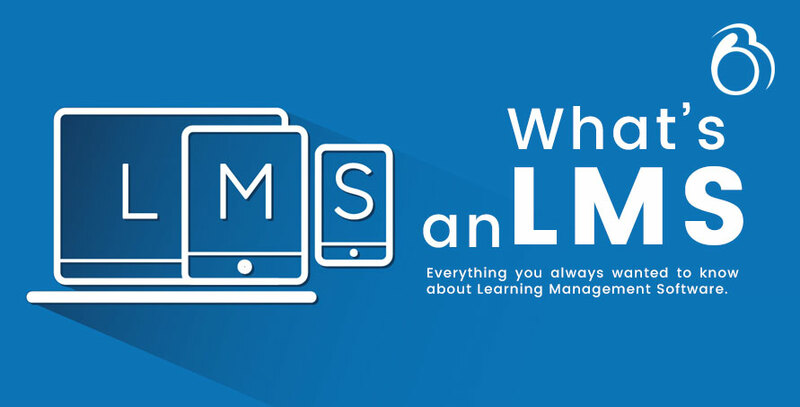 Have you heard about LMS before? If not, the below information will give you a clear view of Learning Management Software. “Learning??? allows you to use it to deliver educational courses, “Management??? helps you to organize these courses and at last “system??? as it is computer software. LMS is a software application that allows instructors to create online courses and training materials. Along with creating, managing and delivering E-courses to the learners, instructors can track the progress of their learners by accessing detailed reports and statistics that LMS software provides. Online learning software gives the learners online virtual classrooms where they can interact and can learn in a collaborative environment. LMS consists of teacher’s account, student’s account, and classrooms. Learning management software can connect people though announcements, Calendars, and reminders. How it works: LMS allows instructors or tutors to upload all their courses and training materials such as videos, presentations, PDFs or even a blog, Wiki to essential locations such as online classrooms. LMS classrooms are not real but virtual, where learners and instructors can interact no matter wherever they are in this world. This facilitates anywhere and anytime learning as learners can easily access their course material by login on to their online classrooms from any device with internet access. In addition to this, learners can access their classrooms anytime even after they finish their courses ensuring uniformity and ability in learning and training. LMS consists of many courses topics, allow you to choose your preferred one, which you are looking to boost your resume. Instructors can sell their courses at the cost of free of cost. Mostly they are cost-effective. Main features: LMS software has a number of features to help instructors to manage their learners better. For example, they can organize learners into groups or classes to centralize reporting, assignment courses, and quizzes. With the master reporting statistics, tracking the progress of large groups or individual learners is also easy. Moreover, instructors can save valuable time spent grading assessment and calculating the results as the Learning Management Software automates grading of hundreds of test papers and enable students instantly see their results. Learners can buy courses according to their pricing budget, get course materials, watch videos, and listen to audios of the tutors of the related courses. After the course, continued by task assessments, where learners must undergo some tasks like quizzes, choose the best answer etc. Courses can be put into paused and continue after some time. This helps learners if they have some doubt in the middle of the assessment’s completion. Once they passed the course tasks, they will be provided with a valid online certification with the marks they have scored in that particular task, which adds the extra skill to your curriculum-vitae. Conclusion: Above all, learning management Software saves instructor’s time and money and reduces a lot of paper works. In short, LMS is an effective, proficient and exciting technique to teach or learn. LMS will totally eliminate learners’ shyness and enable them to take courses with no hesitation. Several clone scripts like this Udemy and Lynda Clones are created for online courses, the one among them is ExpertPlus. ExpertPlus is a true product of BSEtec. This allows the instructors easily create training programs and reuse them to train multiple batches. These clones create better platforms for you to develop in the teaching field. This is completely a Boon for the online instructors as well as learners.